Yesterday we posted a 1986 Ford Mustang SVO as an alternative to buying a new Mustang. I casually mentioned that you'd have enough money leftover after getting the SVO to purchase a classic fastback before you'd reach the MSRP of a 2015 EcoBoost Stang. That isn't necessarily the case with the early fastbacks (1965-1968) but if you are willing to go with the 1969-1970 restyle, you can certainly pick up a runner for about $15k. 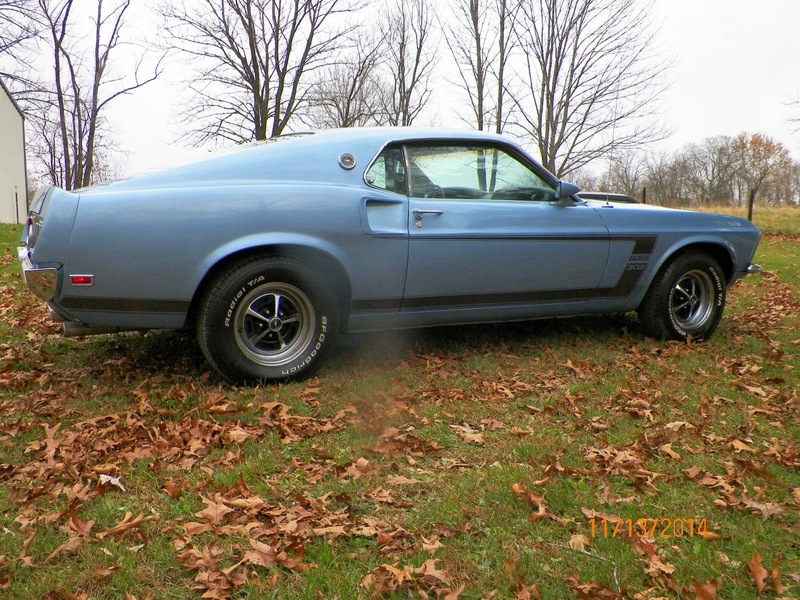 Find this 1969 Ford Mustang here on eBay currently bidding for $13,544 with a few hours to go, located in Troy, MO. This Mustang has been given a mild BOSS 302 look, which means it has the added C-stripe to make it look like the Larry Shinoda designed street fighter. 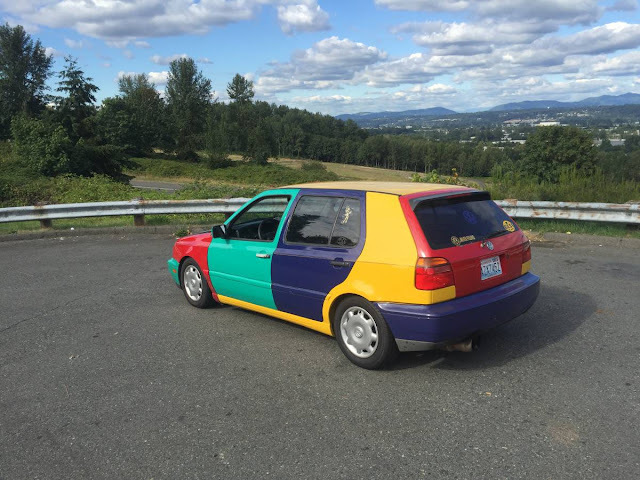 The builder did not add the flat black hood, rear wing and front air dam -- but you could! Power comes from what looks like a stock-ish Ford 302 cubic inch Windsor V8, which would have been good for 220 horsepower, but more power/torque is easily uncorked with a few bolt on parts. This car isn't a restored trailer queen or concours perfect, but it could be a perfectly good driver with some work on the weekends. When I was going to high school, a cop at the police station down the hill from my school had a white Boss 302. 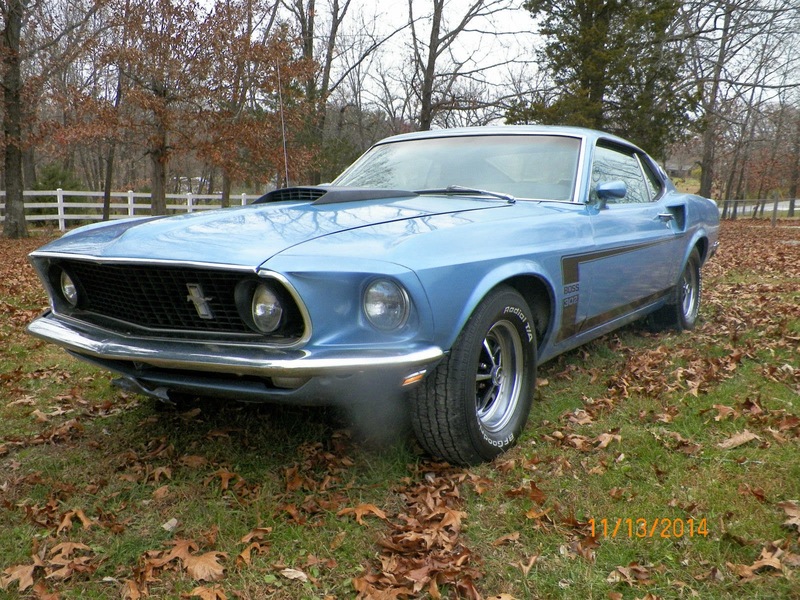 It's kinda funny...if you tracked the value of a clean '70 Boss 302 as a percentage of my net worth from then until now, I'd bet the number wouldn't vary much (okay, down in '99-01, then back to stasis by '03) from then until now. In other words, I could afford it now, but I really should have bought one in 2000. A cosmetic clone isn't worth anything to me, but a nicely built '69-70 (the prettiest of the early Mustangs, even in notchback form) with a 351-392 Windsor and decent suspension, could be worth some money. Is there a name for that area above the glove box but below the dash on these cars? I knew a girl in highschool who drove one of these and referred to is as the BJ nook, but I don't think that's what Ford called it.